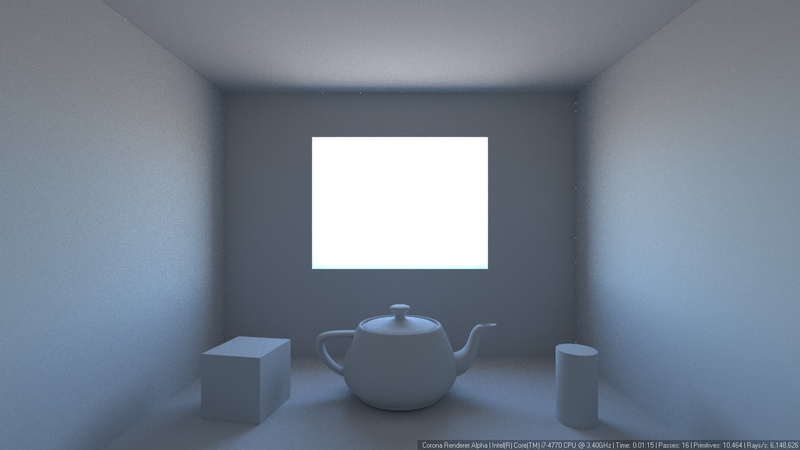 If you can see single white pixels (fireflies) in the corners of your scene (for example in a room) when you are using a bright environment background, this may be caused by your room mesh not having thickness. Adding "shell" modifier, or adding thickness otherwise, should fix this issue. 2. No light leaks after adding "shell" modifier to the room mesh.